BrewDog is set to open its first bar with an on-site microbrewery in the heart of London’s financial district. Brewdog’s first BrewPub will be housed within the City of London’s Minister Building. The future jewel in the brewery’s crown will be housed on the ground floor of the Minster Building — a neo-gothic development on the corner of Great Tower Street and Mincing Lane. The 8,500 square foot location will be the biggest BrewDog bar in the world, accommodating up to 400 people and second only to the taproom at its US brewery in Columbus, Ohio. Brewdog currently runs 30 bars across the UK, including six London venues. The new site will include a 10 hectolitre brewing facility, producing its own small batch of seasonal beers, as well as a selection of arcade games for patrons to play while they drink. A Brewdog shop selling branded merchandise will also be on offer at the new site. Last week, BrewDog launched the fifth round of its crowdfunding scheme Equity for Punks. The brewing giant wants to raise up to £50m in donations from beer fans, which will be used to further its global expansion. Brewdog’s upcoming projects include building new breweries in Australia and Asia, as well as opening a further 15 bars in the UK, with a view to some becoming BrewPubs themselves. 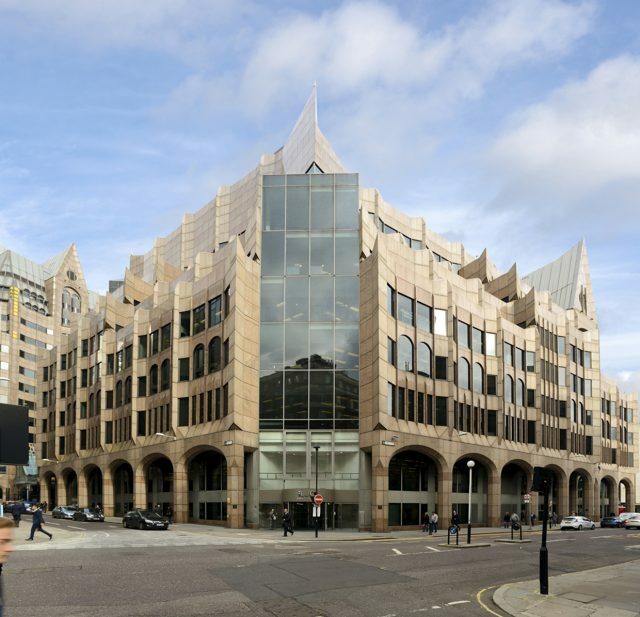 The Minster building, which was built on behalf of Prudential in 1993, has recently undergone a major refurbishment to accommodate up to 65,000 sq ft of new offices, cafés, restaurants, bars and shops. 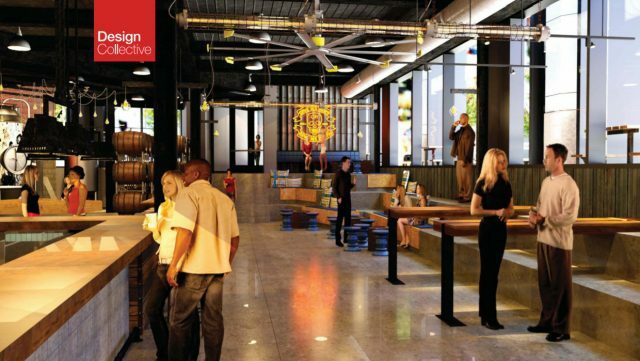 The new site will include a 10hl brewing facility and arcade games.